Capture the lovely warmth of summer with this gorgeous arrangement. 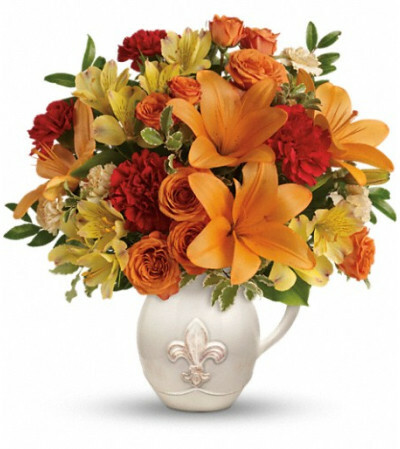 Orange spray roses and asiatic lilies arrive in our charming French country ceramic pitcher. 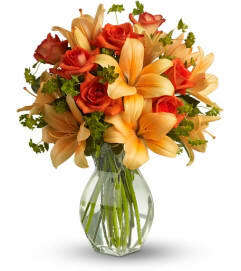 Orange spray roses, orange asiatic lilies, yellow alstroemeria, red carnations, peach miniature carnations and assorted greens. Delivered in a Teleflora French County Pitcher. Owner personally helped me with my concern. Very compassionate and understanding. Flowers were fresh and beautiful. 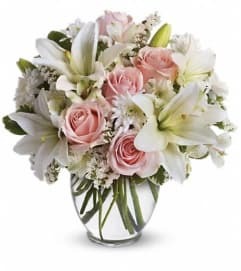 Sid's Flowers and More is a Lovingly Florist in Palos Hills. Buying local matters. Discover how Lovingly supports local florists. Copyrighted images herein are used with permission by Sid's Flowers and More.